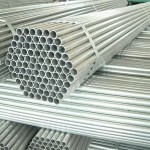 We stock a variety of Black Pipe, Galvanized Pipe, Seamless Pipe and Threaded Pipe. We also special order hard to find items upon request. Pipe Size: 1/2" 3/4" 1" 1-1/4" 1-1/2" 2" 2-1/2" 3" 3-1/2" 4" 5" 6" 8" 10" 12" 14" 16"
Pipe Size: 1/2" 3/4" 1" 1-1/4" 1-1/2" 2" 2-1/2" 3" 3-1/2" 4" 5" 6" 8" 10" 12"